Two-time CMA and ACM Female Vocalist of the Year Janie Fricke has released The Essential JANIE FRICKE, through Sony Legacy to all digital service providers for streaming and downloading. The collection includes many of her 18 number one hits including “What’re You Doing Tonight,” “It Ain’t Easy Being Easy,” “He’s A Heartache (Looking For A Place To Happen),” “Tell Me A Lie” and more. All forty songs released on The Essential JANIE FRICKE are available to fans on Spotify, Amazon Music, among others. Raised on a farm in Indiana, Janie Fricke began singing in church, and later turned that talent into a career which began as one of the marketing industry’s most successful jingle singers. Long before her success as a country artist, millions of people became familiar with Fricke’s voice through ads for United Airlines, Coca-Cola, 7-Up, McDonald’s and Red Lobster. She soon became a session singer where she was singing background in the studio with some of the biggest country stars of the late 70’s and early 80’s, including Loretta Lynn, Eddie Rabbitt, Crystal Gayle, Ronnie Milsap, Barbara Mandrell, and Mel Tillis. 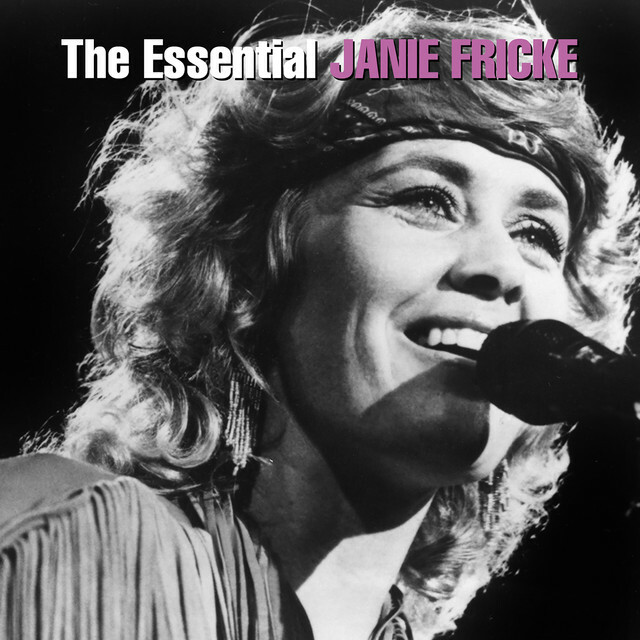 In recent years, Sony Music Entertainment made four of Fricke’s classic albumsavailable to fans on Spotify, Apple Music and other digital platforms via the Legacy Digital Vault campaign, including The First Word In Memory, The Very Best of Janie Fricke, Black & White and Saddle in the Wind! The collection of albums features the 18-time chart-topper’s biggest hits, including “It Ain’t Easy Being Easy,” “Tell Me a Lie,” “She’s Single Again” and more.